Above: external photographs of Burnside Lodge. 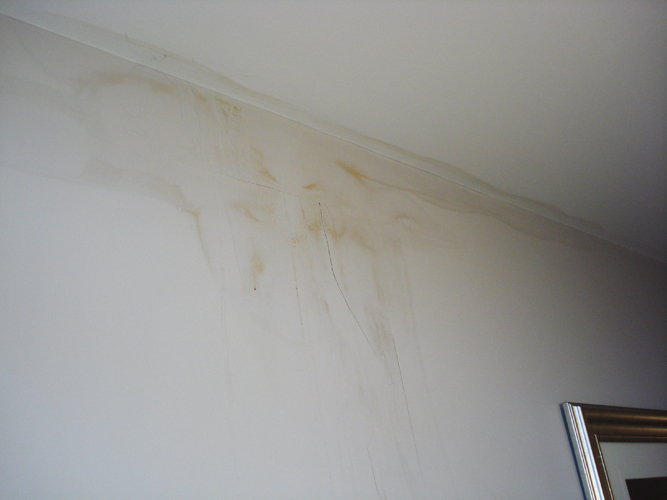 A dispute in which we acted for the Contractor in the provision of expert advice in anticipation of Mediation and Litigation against the developer and owner of a chain of care homes. 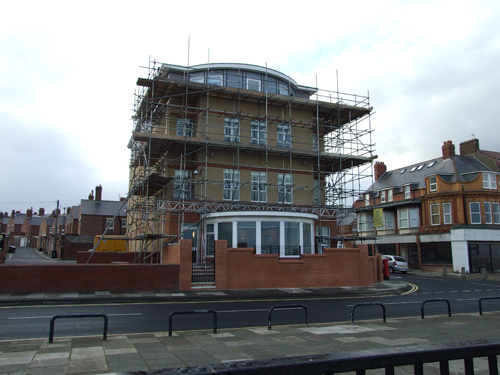 Our Clients were engaged, following a competitive tender, on a JCT IC 2005 Contract with Contractor's Design Portion (CDP) Supplement, for Works to convert and enlarge an existing, and tired, Victorian sea-front building. The building faced directly across the North Sea with no protection from the easterly and south easterly winds. 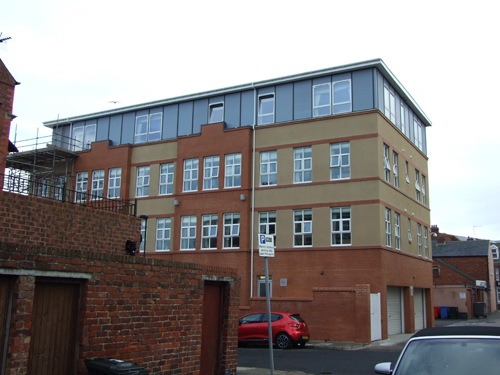 Following tendering, and the beginning of the Works, the Client requested extensive additions to sections of the Works, thereby considerably expanding one of the CDP packages. The Contractor mistakenly understood the design to have been prepared by an architect. In reality the Designer/CA was merely a Chartered Architectural Technologist. The Contractor, having obtained the necessary design for the various packages required for the roofing, the windows, and the section of timber-framed wall construction, submitted by them to the CA for approval. Unfortunately, the CA failed to ensure the packages were sufficiently, or at all, co-ordinated with one another. He also failed to ensure the packages were co-ordinated with the remaining non-CDP sections of the Works. Nor did the CA require the undertaking of the necessary testing procedures included in the Contract Documents, which he had himself prepared. 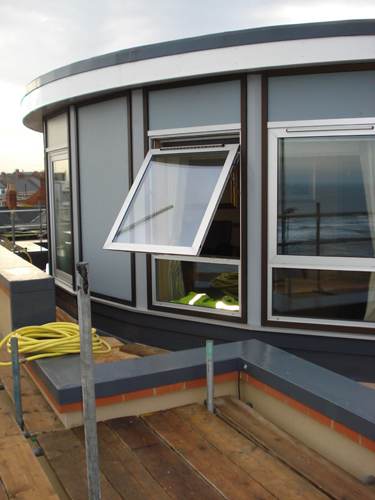 Above: The curtain walling and windows to the top floor of Burnside Lodge, and an example of a mssing cavity tray to a window. 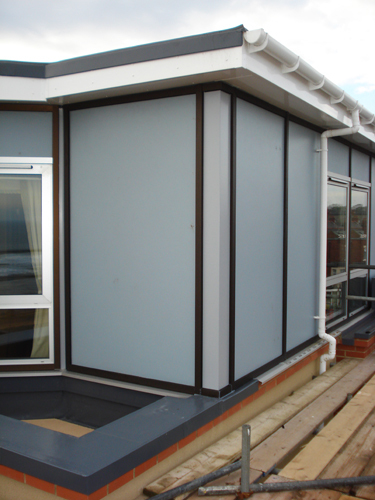 The CA omitted to ensure the two design packages for curtain walling and windows paid due regard to the need to form an effective water and airtight seal between the two elements. The result was inevitable. As a result of the failure to co-ordinate the packages, water was driven through the resultant gaps in the construction at the topmost floor. It was then able to descend internally within wall cavities and re-appear in the public areas of the care home at ground floor level, which it did in prodigious quantities. That was helped by the failure of the design to make adequate, or any, provision for cavity trays, stop ends to trays, and damp proof courses, at key points in the external wall construction. 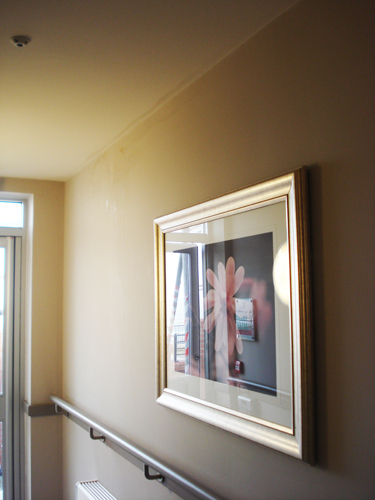 Above: evidence of water penetration descended from the top floor curtain walling to the public areas at ground floor level. There were numerous failures by the Contract Administrator to provide the necessary inspection of the Works, and to process the Contractor's Final Account claim. Notwithstanding which, the Contractor remedied the defective design by dismantling and reconstructing the critical elements of the cladding, and water tested the resultant construction in accordance with the applicable Test Standards. 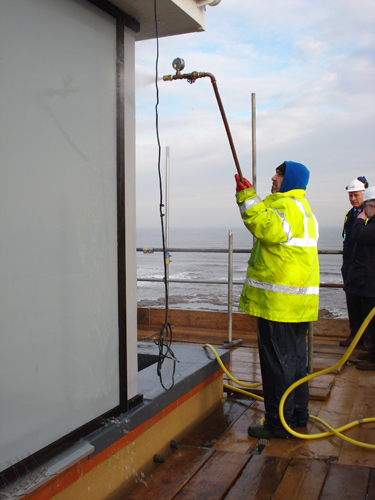 Above: photos taken during the water pressure testing of the curtain walling and windows following remedial works. The moral of the story? For Contractors: ensure the separate CDP packages are fully integrated with one another, and all with the non-CDP works. And, do not assume the designer is an architect: always check, and if in doubt consult the free Register which could be found on-line at the Architects' Registration Board. For designers: if a requirement for testing is inserted into a Specification then ensure the testing is undertaken before Certifying the Works. 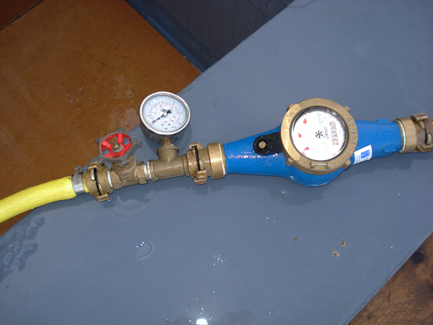 And, require a correctly completed Test Certificate to be provided from an independent and suitably qualified Test body. 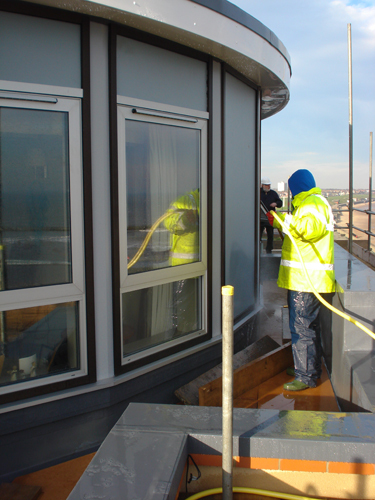 If appointed to Certify and value construction works ensure they are carefully and thoroughly inspected. 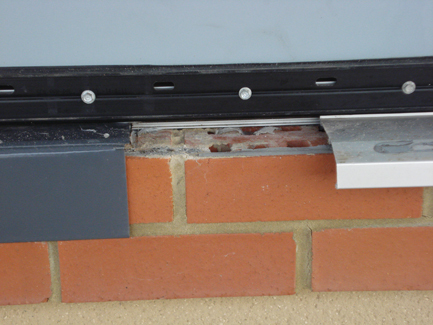 Cavity walls in exposed locations require particular care to be exercised in construction and inspection.